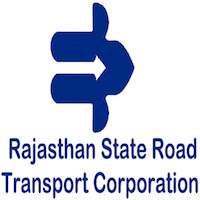 Online Application Details for Rajasthan State Road Transport Corporation RSRTC Recruitment of 15 Chief Manager is given below. Application form and duly attested documents are to be sent to Managing Director, Rajasthan State Road Transport Corporation, Head Office,Parivahan Marg, Chaumu House,Jaipur (Rajasthan) - 302001. In envelope super scribed with 'Application for the Post of Post Name'.